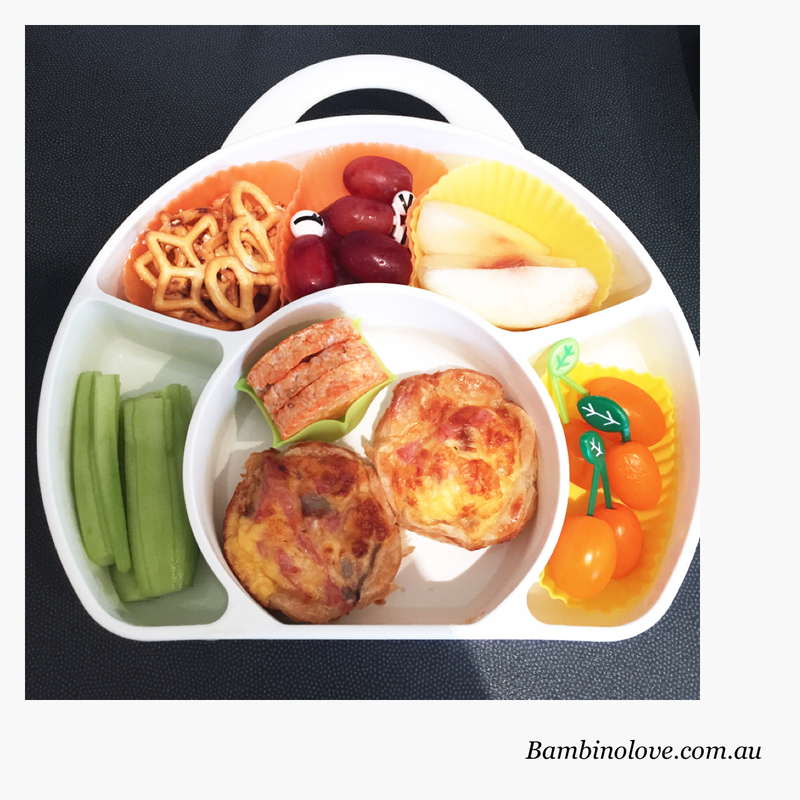 This post is just to show you some ideas and tips that maybe helpful for you to pack homemade lunches in bento box. I usually like to pack at least have 4 types of food: carbs/grain (carbohydrates), proteins, vegetables, and fruits. 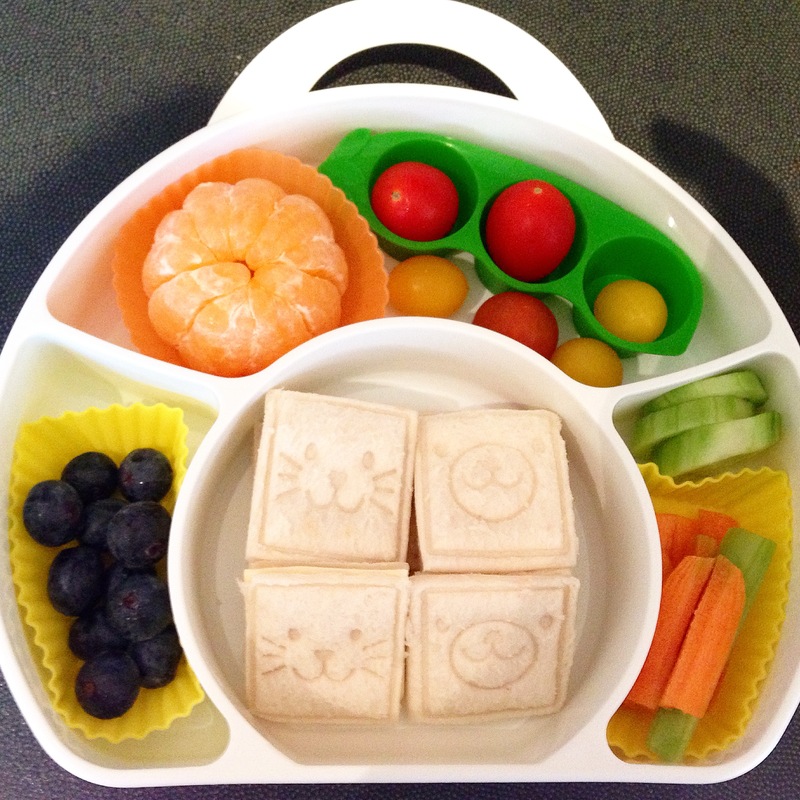 Be conscious about what types of foods to put in bento box when you are packing lunch. I always include some type of “veggie” in each lunchbox. Yes, even if I know it will come back uneaten. It sometimes takes years for a kid from "NO" to willing try it. High protein food will help kids stay fuller longer. I like to pack with bold colour as it provide great visual impact and create better appetite. Colours that you may consider : Red, Yellow, Orange & Green. Example: Carrot, bell pepper, strawberries, plum, tomato, red radish, apple, corn, sweet potatoes, pumpkin, orange, lemon, grapes, raspberries, nectarines, banana, lettuce, cucumber, green onion, edamame, broccoli, spinach, snap peas, asparagus, green beans, Brussels sprouts, green peas & kiwi. Always plan ahead what you would like to put in the lunch box. if you want to pack your lunch quickly, use left over or pre-cook in big bulk meal and freeze it. You may bake muffin, mini sausage roll, mini hotdog bun and mini quiches in a big batch and freeze it. You may also pre-cut your vegetables and keep in the fridge. This cut down the time preparing the lunch box during the week. 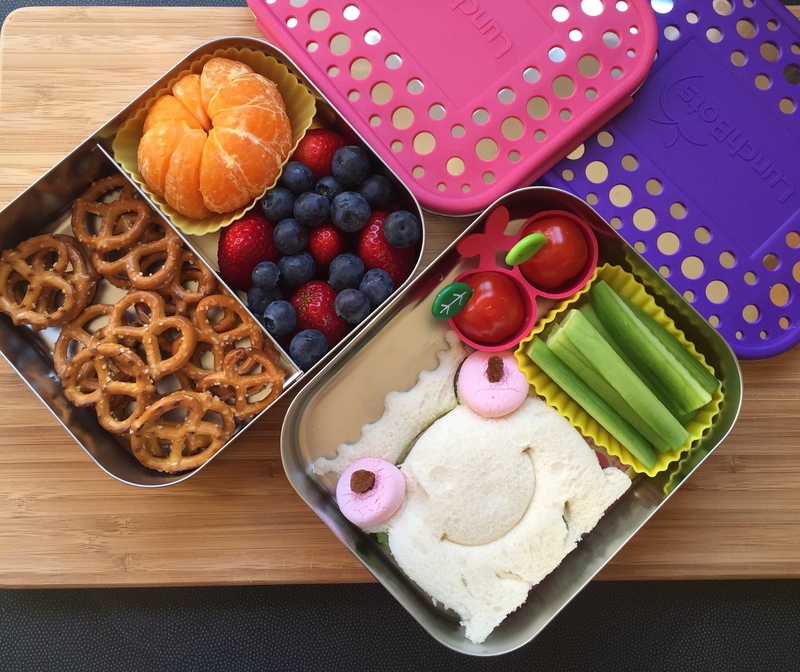 Here are some school lunches that I made for my girl using the Boon Cargo and Lunchbots bento lunch box , cute food picks, animal sandwich cutters and silicone food cups. This food cup is great for keeping wet things away from dry things and holding loose items like blueberries in one place. 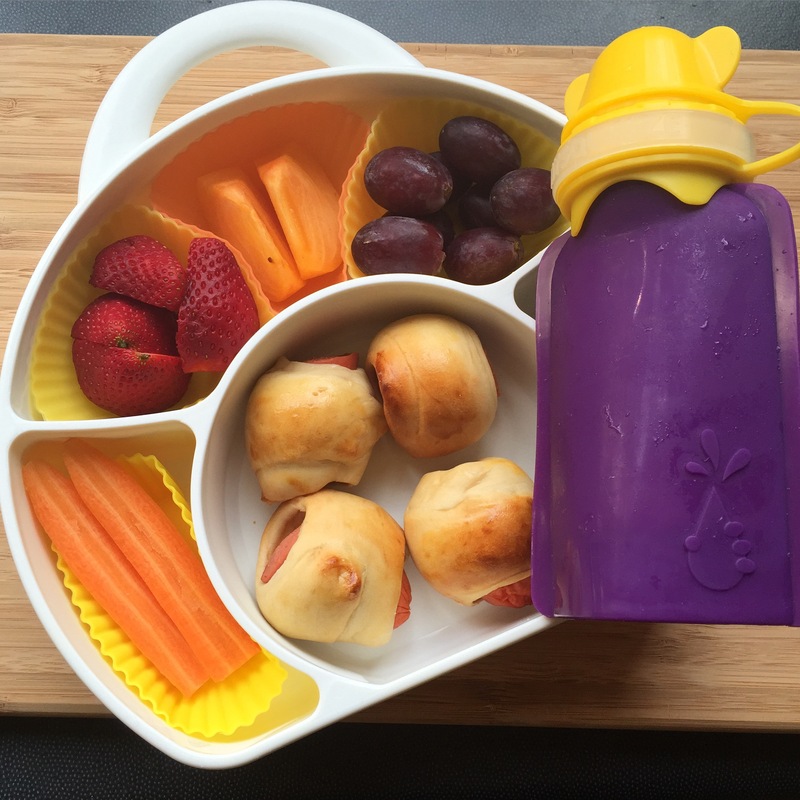 The lunch box then was sent to school in So young insulated lunch bag with an ice pack or a frozen smoothies in My Squeeze reusable pouch. I have fallen in love with this. Look at the food art and the bento box. Selena Kohng from How About Cookie creates the cutest food art. I have already tried out a few of her ideas on my picky eaters. 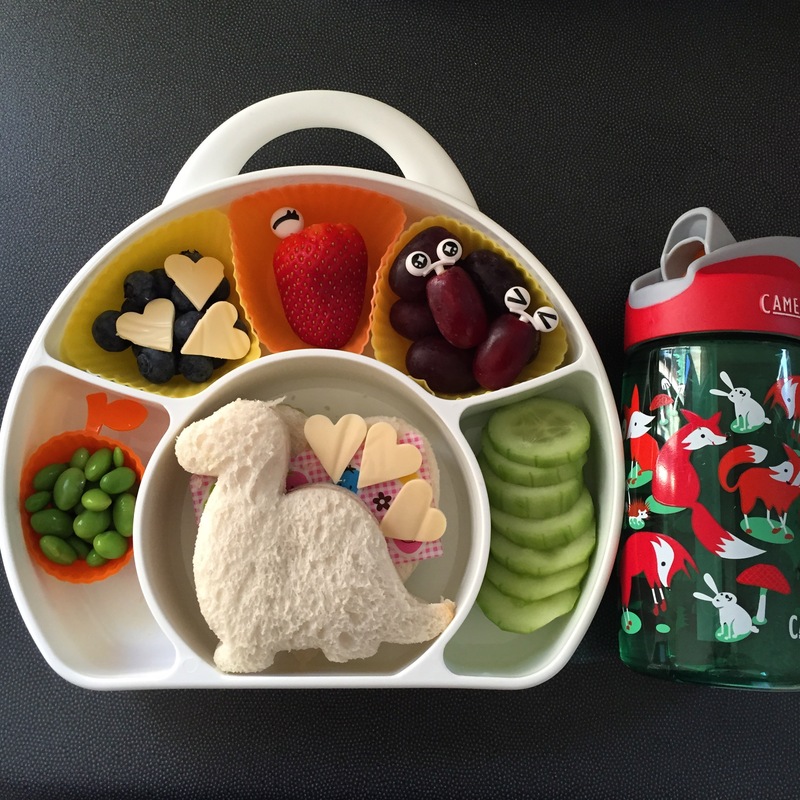 Awesome lunch box and meal time ideas. Take a look at her creations, simple and full with fun. To view more of her creation visit her page at How About Cookie.